Resurging after a decade of hiatus, the preeminent awards ceremony for the moving image in the state of Georgia, the IMAGE Film Awards Gala has recognized people who made outstanding contributions to building the state's film industry and community. This year’s honorees hands stretch further than their respective fields having impacted not only the film community, but Georgia as a whole. We’re delighted to introduce you to the 2019 IMAGE Film Awards Gala Honorees. Tom Luse is not only a homegrown success story, but he also helped grow Georgia’s success in the film industry. He’s probably best known for one of his most famous position, which is of course as Projectionist and Touring Program Coordinator for the 1980 Atlanta Film Festival—or maybe that’s just one that the Atlanta Film Society is proud to have on his resume. In addition to a term on the Atlanta Film Society’s board, Tom’s roots in the film community go back to being the first graduate student at Georgia State University to do a film as his master’s thesis. While in that program he made the award-winning documentary WHO’S KILLING THE CITIES that earned Luse an AFI Director Internship at Paramount Pictures. One of the founders of the Atlanta Film Society, Academy Award nominee Gary Moss (who regrets not being able to be here due to a birth of a new grandson) fondly reflected their adventures making that film, saying he recalls Tom’s “...brilliant stratagem that allowed us to film with impunity (from a ragtop Tbird, no less) in the most dangerous place in America, the South Bronx, for his documentary, “Who’s Killing the Cities,". Where Tom’s impact on Georgia’s industry started really making a mark was his career in production in Film & TV. Tom’s name is attached in a variety of roles from Location Manager and Unit Production Manger T.O. Director and Executive Producer to over 68 productions (not even counting the over 160 individual TV show episodes) including some of the most iconic productions made in Georgia including the Academy Award®-winning film GLORY, REMEMBER THE TITANS, DRUMLINE and of course what is his most known, as an Executive Producer of THE WALKING DEAD for which he’s worked on for the last nine years. Tom recently made local headlines for starting the first-ever and highly popular Walking Dead Studio Tours—yet another way Tom has made a continued impact in Georgia’s film industry and community through the hit series. He’s also recently been invited to be an Artist-In-Residence at Georgia State University’s new Creative Media Industries Institute. Luse has received an Emmy® nomination for Outstanding Made for Television Movie for What the Deaf Man Heard; was honored with the Directors Guild of America Award for Outstanding Directorial Achievement in Dramatic Specials for Paris Trout; and was awarded AFI's TV Program of the Year for The Walking Dead, but tonight we celebrate his career and impact to our industry by honoring him a 2019 IMAGE Film Award. For the past nine years Tom Luse worked as producer and executive producer of The Walking Dead. He currently is a consultant for the series. Tom Luse launched his entertainment career writing, producing, and directing the award-winning documentary Who's Killing The Cities while a film student in Georgia State University's (GSU) master’s program. Beyond being a festival hit, the film earned Luse an AFI Director Internship at Paramount Pictures. After working in several different departments, Luse joined the DGA as part of the production management team on the Academy Award®-winning film Glory, starring Denzel Washington and Morgan Freeman. Luse went on to production manage Remember the Titans, also with Denzel Washington; and Drumline, with Nick Cannon and Zoe Saldana. Luse served as producer on the cult classics Jeepers Creepers and Jeepers Creepers 2. He also produced The Joneses, with Demi Moore; Hachiko, with Richard Gere, also directing the Japanese Unit; and The Collection, with Josh Stewart. Equally well-versed in television, Luse produced the pilots The Client and Profiler. It was his producing role on Everwood that led Luse to producing Past Life, which Luse was instrumental in bringing to Atlanta. Luse got his start in television as the location manager on Murder in Coweta County, starring Johnny Cash and Andy Griffith. Luse received an Emmy® nomination for Outstanding Made for Television Movie for What the Deaf Man Heard; was honored with the Directors Guild of America Award for Outstanding Directorial Achievement in Dramatic Specials for Paris Trout; and was awarded AFI's TV Program of the Year for The Walking Dead. Luse originally studied Psychology, in which he earned his Bachelor of Arts degree and did some post graduate work in the field. He worked for several years with special needs children, while returning to GSU to pursue his Master’s degree in Psychology. He also worked at local art house movie theater. An astute professor recognized Luse’s passion for film and encouraged him to pursue a career in the entertainment industry. Luse switched programs and became the first graduate student at GSU to do a film as his master’s thesis. He was recently invited to be an Artist In Residence at Georgia State University’s new Creative Media Industries Institute. He also serves as General Manager of Riverwood Studios. Betsy Holland is the Director of Culture & Engagement for Warner Media (formerly known as Turner) and State Representative for Georgia House District 54 in Atlanta. Elected to the Georgia legislature in 2018, Representative Holland’s standing committees are Higher Education, Small Business Development and Intragovernmental Coordination. She sits on the Atlanta and Fulton County delegations, and she serves as a Deputy Whip for the Georgia Democratic House Caucus. She is also a member of the Women’s Legislative Caucus and the Working Families Caucus. At Warner Media, Holland’s position oversees the development and implementation of programs that contribute to a thriving workplace culture, high employee engagement and meaningful community and civic impact.. She oversees the company’s health and wellness programs, corporate responsibility and philanthropic outreach, government and civic affairs, and work/life benefits. Prior to this role, Holland served at the Director of Corporate Responsibility and Civic Affairs for Turner Broadcasting. She began her tenure at Turner in 1997 in the corporate affairs group. 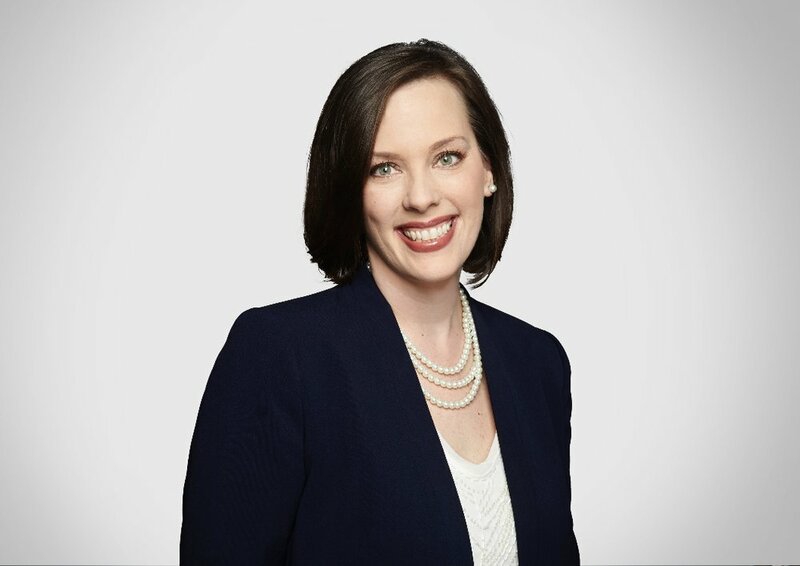 During her early career, she developed and executed programs that promoted employee engagement, including launching Turner Volunteer Day and the Turner Voices Youth Media Institute. She led the development of the Turner Voices philanthropic strategy to fund local organizations that support innovative youth leadership and emerging arts programs. Holland currently sits on the Board of Directors for the Georgia Chamber of Commerce and the ChooseATL Committee for the Metro Atlanta Chamber of Commerce. She is the past-chair of the Board of Directors for the nonprofit Fugees Family. Other board service has included Communities in Schools, the Atlanta Community ToolBank and ToolBank USA. She is an active member at Morningside Presbyterian Church where she has been ordained as a deacon and leads a women’s program focused on community issues and social justice. Betsy resides in Atlanta with her family. Universally recognized as a visionary and groundbreaking entrepreneur—one who led the explosion of southern hip hop music and, specifically, trap, to a mainstream breakthrough—Tip “T.I.” Harris continues to share exciting new projects capturing the magnetic rapper at the top of his game. T.I.’s unique perspective and unwavering perseverance throughout the seismic changes of pop culture has seen him expand his Atlanta based Grand Hustle empire into a diverse conglomerate of brands and entities. His successful forays into music, film, fashion, books, scripted and unscripted television, technology, sports, lifestyle and real estate ventures have garnered him worldwide acclaim as a multi-platform catalyst behind some of the entertainment industry’s most compelling endeavors. Most recently, he’s locked down deals as an artist/co-owner of the global stream service TIDAL, and co-creator, producer and star of the new BET reality completion series “The Grand Hustle,” where T.I. oversees 16 business-minded participants competing for a six-figure salary and the chance to join his coveted empire. Earlier this summer, T.I. reprised his role in the Marvel sequel “Antman & The Wasp,” which has grossed close to $600 million world-wide at the box office, and co-produced the musical drama “Glow Up” as part of the PepsiCo’s Creators League. He has also taken his musical talents to Broadway, having recently received a TONY Award nomination for “Best Original Score (Music and/or Lyrics) Written for the Theatre” for SpongeBob Square Pants: The Musical. T.I. is also set to star in the highly anticipated, new music competition series, Rhythm and Flow, alongside fellow celebrity judges, Cardi B and Chance the Rapper. The show is Netflix’s first music competition series, set to debut in 2019. Additionally, VH1’s “T.I. & Tiny: Friends & Family Hustle,”will return with a new season. The hit series features Grammy® Award-winning, multi-platinum artists Tip “T.I.” Harris and Tameka "Tiny" Harris along with their children Zonnique, Messiah, Domani, Deyjah, King, Major and Heiress. Joining them again is multi-platinum, Grammy® Award-winning artist Monica Brown, New York Times best-selling author Antonia “Toya” Wright with her daughter Reginae Carter, and actress and Grammy® Award-winning, singer-songwriter Letoya Luckett. T.I. will also appear in another highly anticipated Netflix production, "Dolemite is My Name!" starring Eddie Murphy and will star alongside Ron Pearlman and Milla Jovovich in "Monster Hunter" set for release in 2019. Also widely recognized for his influence in the community, T.I. has become an activist and dominant force in social issues around race relations, civil and human rights. In response to mass inequality and the murders of unarmed Black citizens, T.I. began his Us or Else movement where he penned a thought- provoking series of op-Eds in the New York Times, Washington Post and Huffington Post, a socially charged album entitled Us or Else: Letter to the System, followed by a provocative short film. Using that as a platform, T.I. launched a formal charitable, social justice and philanthropic arm, Harris Community Works, dedicated to driving systemic change in underserved communities. His most recent philanthropic work includes relief and support efforts for Puerto Rico, Houston, Colin Kaepernick’s Million Dollar Challenge and more. Recently, T.I. became a coveted member of the Mayor of Atlanta’s Transition Team. In this role, he supports the Mayor and City of Atlanta in policy and advocacy efforts that drive the city of Atlanta forward. T.I. has also recently added Art Curator to his long list of creative credentials. As the official visionary and creator for the first ever pop-up Trap Music Museum, T.I. lends his visual and artistic wisdom along with his creative energy to chronicle and celebrate the contributions of Trap music. Since its opening, the Trap Music Museum has already become one of Atlanta’s most visited attractions. With exciting new film and television projects underway and a string of creative and business ventures, the fearless game-changer is once again taking his ever-evolving artistic franchise to new heights. Christopher M. Carr was appointed by Governor Nathan Deal and sworn into office as Georgia's 54th Attorney General on November 1, 2016. On November 6, 2018, Carr was elected by the people of Georgia to serve a full four-year term. Carr appoints all members of the Georgia Consumer Advisory Board and is a member of the Georgia Board of Homeland Security. 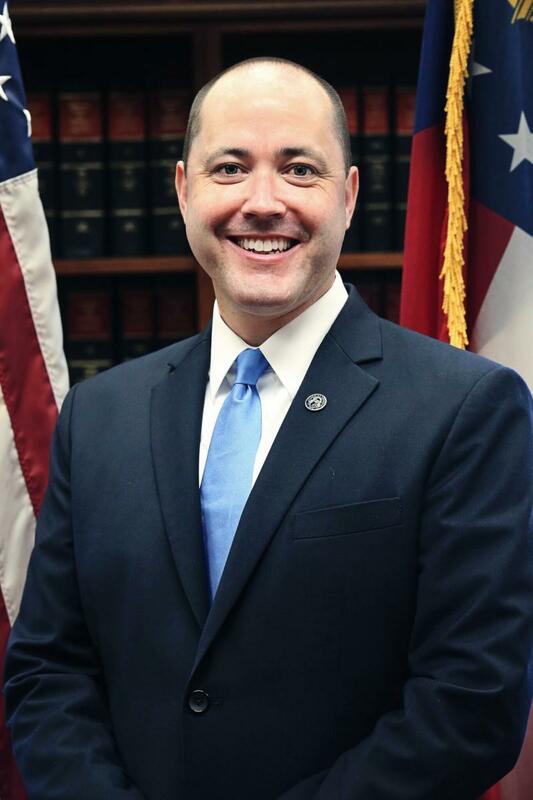 He also serves on Georgia's Judicial Nominating Commission, the body charged with reviewing and recommending judicial appointments, and the Executive Committee for the Georgia Older Adults Cabinet. A dedicated member of the National Association of Attorneys General, Carr currently serves on the Human Trafficking, Substance Abuse and Presidential Initiative Committees (focused on elder abuse in 2017-18 and natural disasters in 2018-19) where he collaborates with his colleagues to shape the association's policies in these respective areas. Carr previously served as Commissioner of the Georgia Department of Economic Development (GDEcD) under Governor Deal from November 2013 to November 2016. As Commissioner, Carr led the state agency responsible for creating jobs and investment in Georgia through business recruitment, retention and expansion, international trade and tourism, as well as the arts, film and music industries. During Carr's three-year tenure at GDEcD, the state of Georgia was recognized as the top state in the nation in which to do business for three consecutive years. In addition, GDEcD helped facilitate 1,069 projects across the state that represent approximately $14.4 billion in investment and the creation of more than 84,000 jobs. In 2015, GDEcD was recognized as the top economic development agency in the country.